With Fewer Family Caregivers, What’s the (Tech-Enabled) Plan? 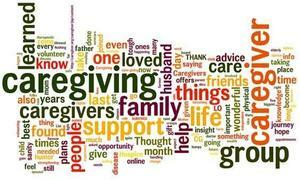 You saw the headline – America is running out of family caregivers. The numbers are daunting. Says Ken Dychwald in the WSJ article: “We’re going to have to look to nontraditional care,” says Ken Dychtwald, CEO of Age Wave, a consulting firm. "Older adults, he says, may have to take in boarders, who can help with shopping and repairs, or rely more on monitoring devices and delivery services.” This latest article was based on a recent study (part of a series) from Merrill Lynch and Age Wave. But is the issue low growth in potential family caregivers? Or is the real issue the low growth of population in the appropriate age range (45-64) of people to provide care to people who are aged 80+? For such an innovative society, so far there are no good ideas. Think about the innovation -- the remarkable cleverness that emerges when America appears to run out of any resource. Consider doctors, especially in rural areas, and the investment in digital health, including remote diagnostics and consultations with specialists. Think about the growth in kiosks and self-service across multiple categories. Yet in personal care delivery -- whether in senior living, home care, home healthcare – the only idea, grasped like an out-of-reach straw, has been an in-home robot. Focus on socialization has meant that even those that made it most of the way into the market, like Jibo, spent $73 million and collapsed. Was socialization the right caregiving problem to solve? Or did Amazon (and Google) solve that with its line of Echo devices, reminders, notifications, and drop-in calls? And as for caregiving robots? Well, it’s amazing, but there is literally nothing near term. What is being attempted for in-home care? Multiple robotics initiatives involving personal care have all failed. AARP funded a report, Caregiving Innovation Frontiers, in 2016, but has not doubled back to see what happened to all of the great ideas there. Family caregivers benefit from access to tools within software platforms (offered through provider organizations), but themselves are unlikely to buy them. Tech-enabled home care was a venture capital bust -- but imagine, turning to one failure and giving them more money to manage tech for the rest. In late 2017, AARP and others launched the Care Institute with a its own YAWN -- Yet Another Worrisome Number -- that there will be more than 27 million people requiring paid care by 2050. They offer an initiative to train and grow the care workforce (combining childcare, post-acute care, and elder care, not at all similar, unfortunately). It seems that if a technology cannot get into the market to deliver physical care, maybe now it’s really time to ramp up the worker population, giving new meaning to the cliche "a day late and a dollar short."